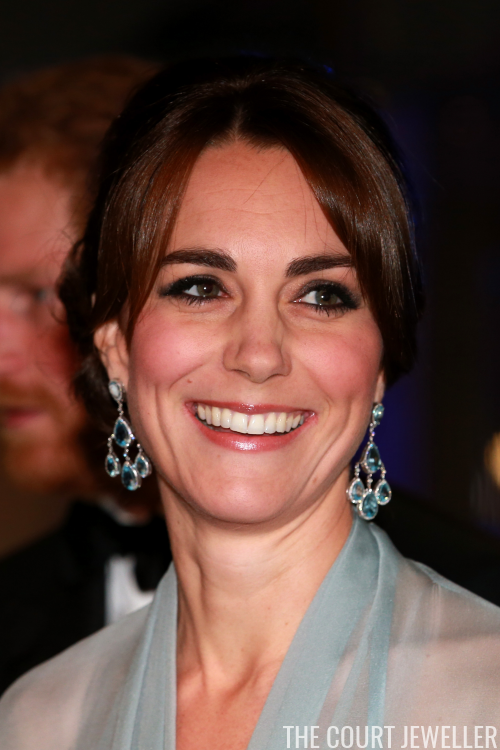 At the royal premiere of Spectre, the latest James Bond film, Kate debuted a pair of earrings that had previously been worn by another family member: the Robinson Pelham Pagoda Earrings. The earrings are made of pear-shaped blue topazes and diamonds set in platinum. They're made in a traditional girandole shape. 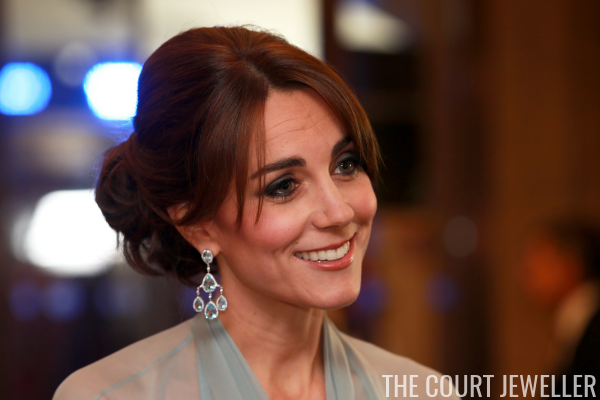 Carole Middleton wore the earrings at the evening reception following William and Kate's wedding in 2011. She paired the earrings with a coordinating necklace. 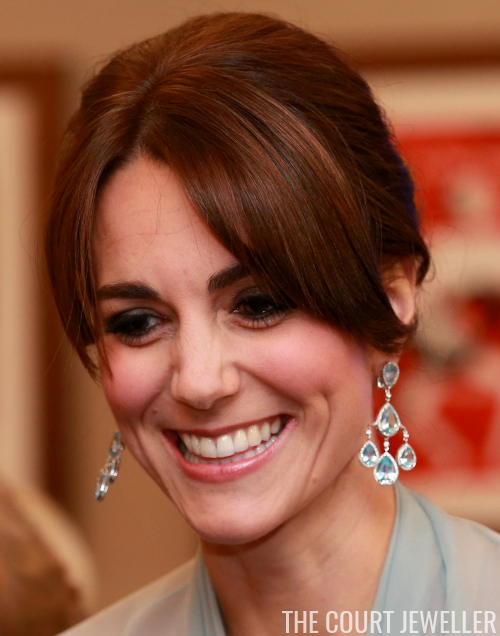 So far, the Spectre premiere is Kate's only outing in the earrings.